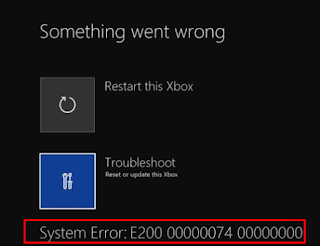 Have you ever faced Xbox System Error E200 while on Windows 10? In this error, a message rolls out stating Something went wrong with a stop code. E200 error and the same E200 000000EF 00000000 or other errors demand equal treatment. The code freezes your screen and does not let you work further. The only way to get rid of the box is to press the Close button. A pending console update might be the reason behind the error. Few other reasons behind this error might be Network connectivity issue, moreover Server down.